As technical as ever, Breitling has redesigned its electronic multifunction Professional Aerospace chronograph in a dynamic style. Featuring an engraved bezel with integrated rider-tabs, and a bevelled glass, this sleek metal bracelet watch is crafted with a lightweight satin brushed titanium case. 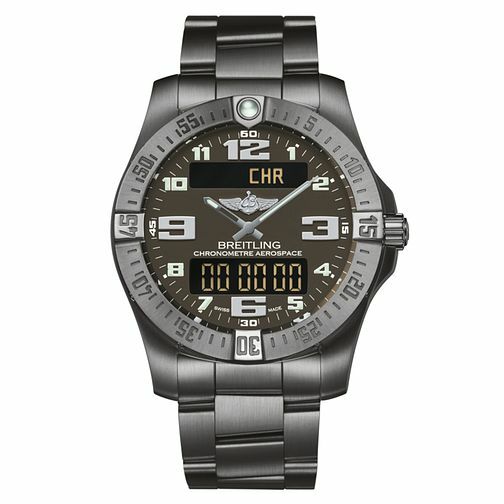 Featuring a grey dial with digital and analogue display.